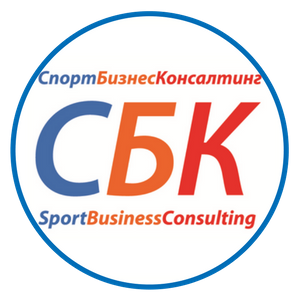 The XV International specialized exhibition of football industry "Football Market" was held from 30 November to 2 December 2017 in the CEC "Expocenter" at Krasnaya Presnya in Moscow. 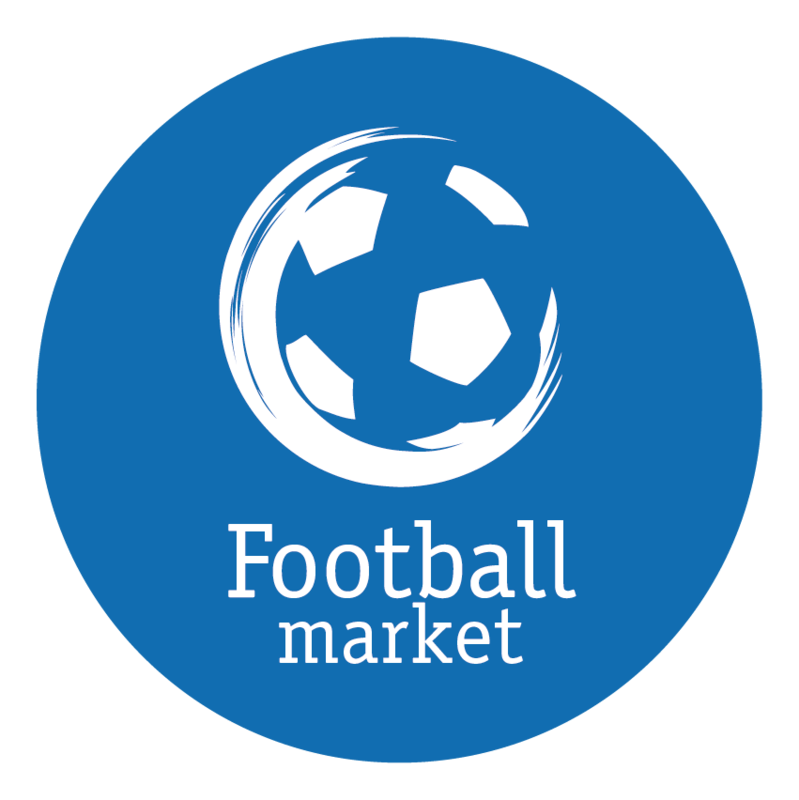 "Football Market" is a unique meeting place for professionals in the football industry, representatives of clubs, federations, regional football centers and academies. 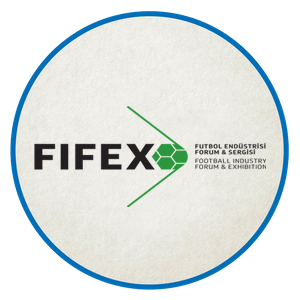 The exhibition concentrates the best and most advanced in the football industry – from the most innovative technologies to offers of companies that provide a variety of services associated with football. The main topics of the conference this year will be the preparation for the World Cup 2018, the effective operation of the stadiums, marketing and management of football clubs, technology and innovation in football, sports law, agency activities and more. 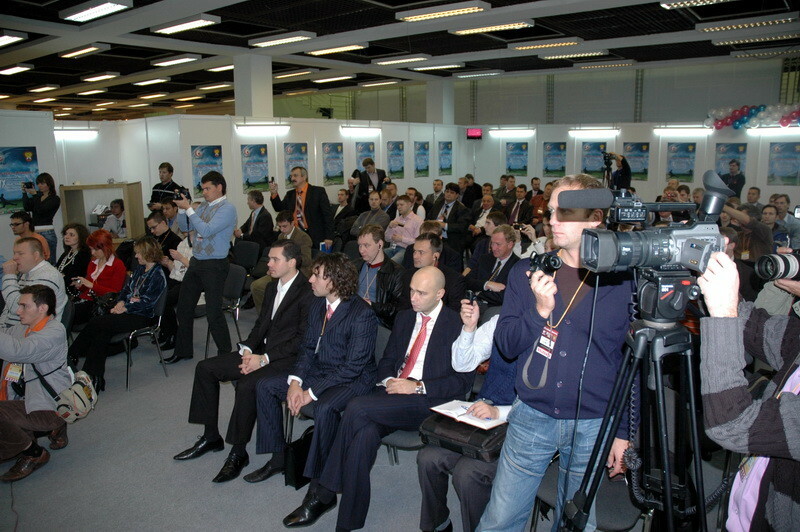 The audience of "Football Market" – state structures and public organizations, football clubs, project and construction organizations, equipment manufacturers, premium and gift products, investors and sponsors, sports medical centers, consulting firms, educational institutions and the organizers of sporting events. 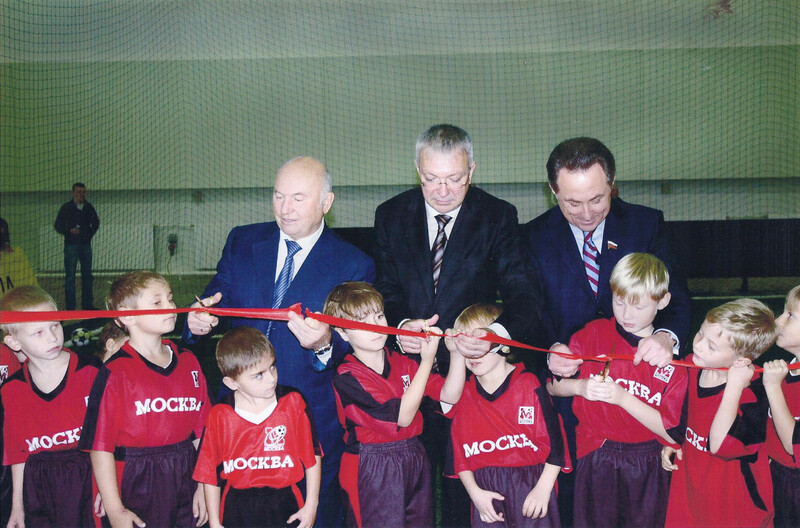 Juniors", nowadays Argentina's President Mauricio Macri; the President of RFPL Sergey Pryadkin, a former President of the Chamber of FIFA and UEFA dispute resolution, former Chairman of the English Football Association Geoff Thompson; the General Director of the organizing Committee "Russia-2018" Alexey Sorokin; ex-coaches of the Russian National football team Guus Hiddink and Leonid Slutsky; honorary President of the RFU and honorary member of FIFA Vyacheslav Koloskov and others. In addition, the event will feature the best artworks of students of the Moscow academic art Lyceum at the Russian Academy of arts - "Football in Art". 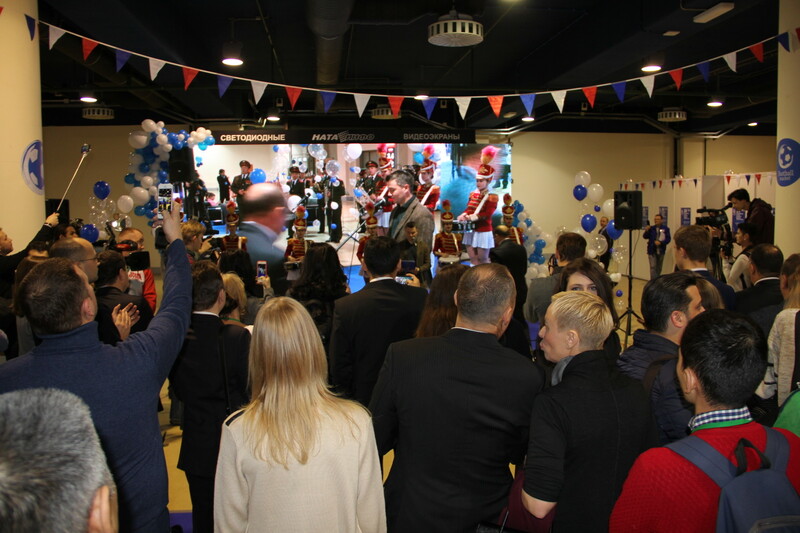 Exhibition of football industry "Football Market" and the "Transfer Market" was held during the official ceremony of the draw for the finals of the FIFA World Cup 2018, which will take place in the Kremlin on December 1st 2017 and will bring together representatives of all national and continental federations. 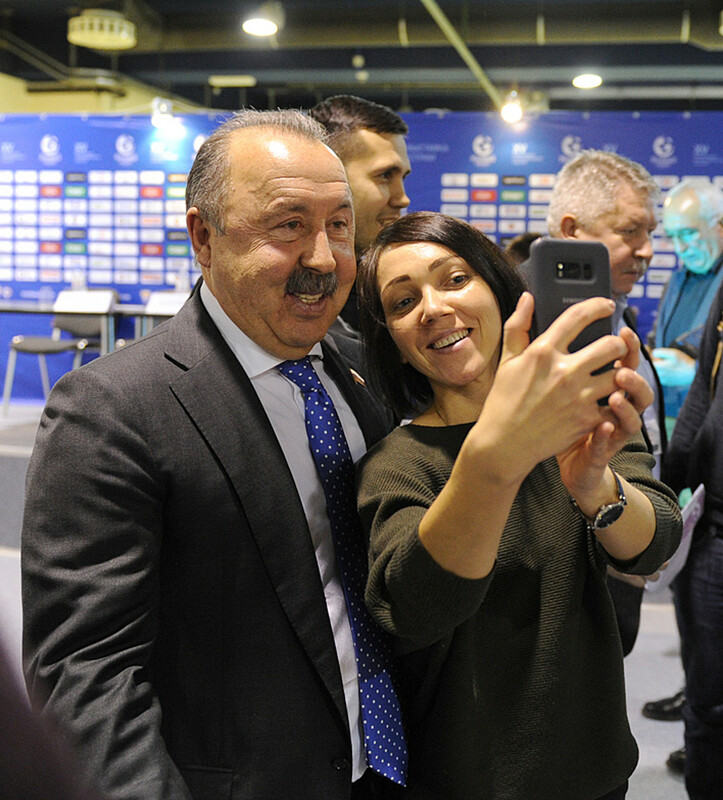 The head coach of Russian national football team Stanislav Cherchesov took part in the round table dedicated to the role of the state in the development of football in Russia, which took place on Thursday in the framework of the XV International exhibition "Football Market". We have always put a question very categorical, - said Cherchesov. - In the style of "gave us money or not." But the state can help not only with money. I started to train in "Kufstein", Tyrol region helped us and the sponsors partially. You can refer to England, but there is an established algorithm for a long time. We are a young country, and the sport even younger. So you should look at who will survive and in which way for six years, and count on each other. And count on the state. But the most important is law. People who come in professional sport should have some preferential terms and guarantees that they can play for a long time. 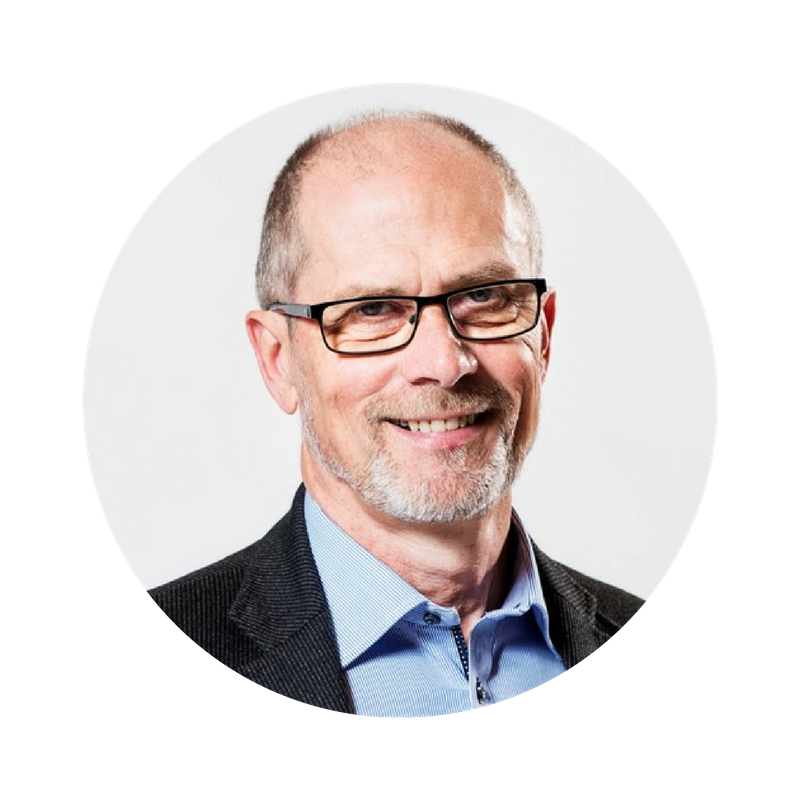 Moreover, the feedback can be both financial and emotional. I worked as a coach and a functionary. And I saw that the recognition, the joy, the charge can also be important for sponsors"
Alexander Tolstikov: “Leiria” is a chance for those who have been underestimated”. The owner of the Portuguese third division club "Leiria" Alexander Tolstikov counts on Russian players and hopes that the team will play in Premier League in a few years. "We have assembled a team under the task. 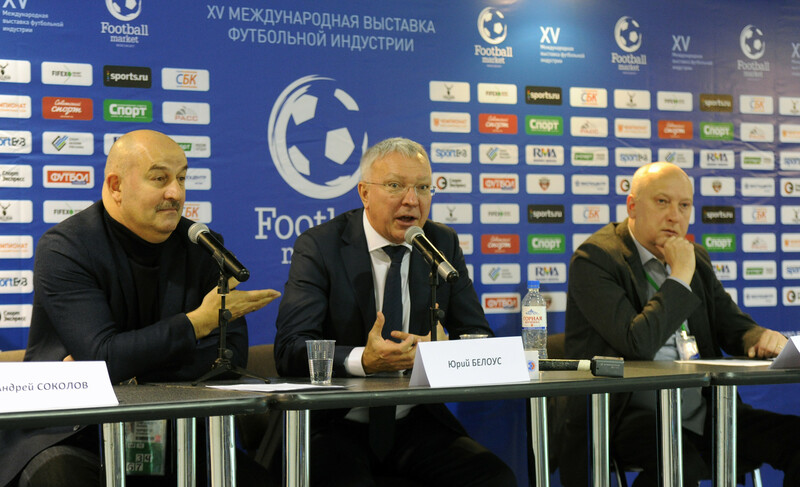 There are veterans – 2 players for 36 years, a lot of young players - said Tolstikov, speaking on the exhibition "Football Market". – I went to Portugal for experience. Leiria managed to create a platform for our underrated players. More than ten players from Russia came through our team, but at home they would have no chance to play. Here this chance appears, because every game of "Leiria" is attended by 5-6 scouts. By the way, "Leiria" – the former club of Jose Mourinho. Our budget is small, but allows to hope for the second division. And if there is no income from TV and commercial rights in the third division, and their only source – transfers, the second division can permit to go to zero. We have very strong academy, in the top eight in Portugal. U17 team plays in the highest League for this age and qualified for the play-offs. 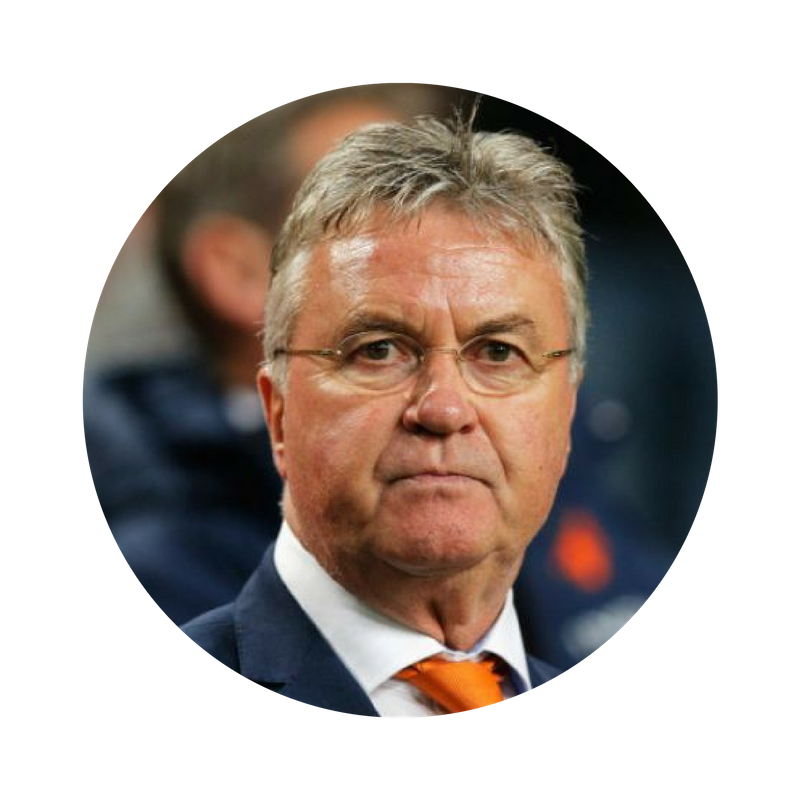 Our aim is to get to the first division and compete for the right to play in European cups". "Football Market-2017: Is Russia Ready for the 2018 World Cup?" 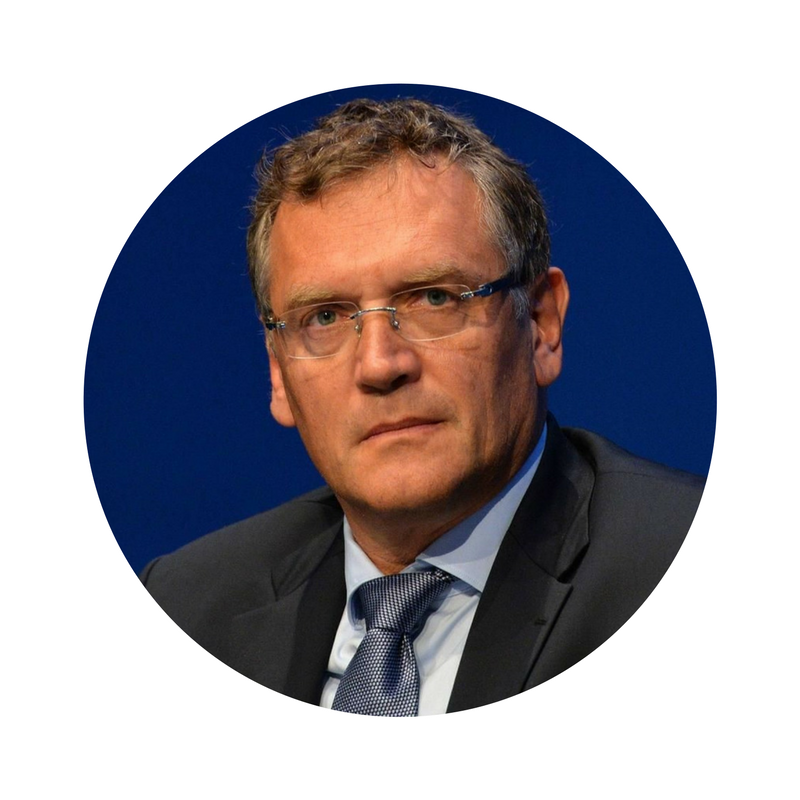 Advisor of the RFU president for legal questions Denis Rogachev believes that the size of state participation in the financing of football clubs is greatly exaggerated. 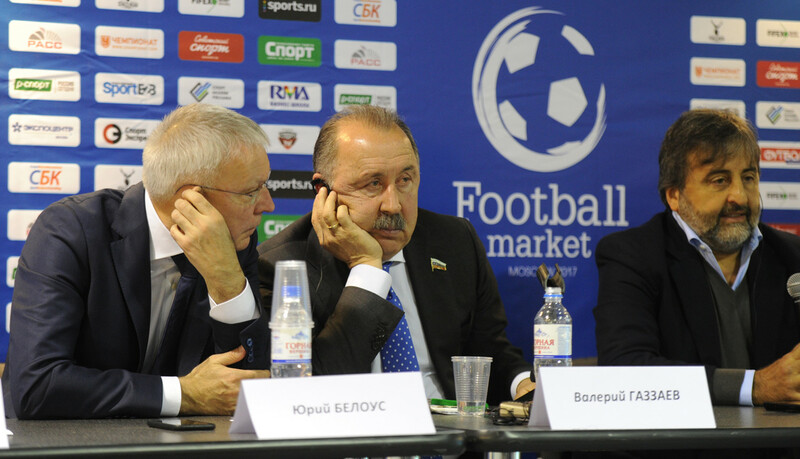 "Fiscal dependence of clubs in Russia from the state is exaggerated,' said Rogachev, speaking at the exhibition "Football Market". 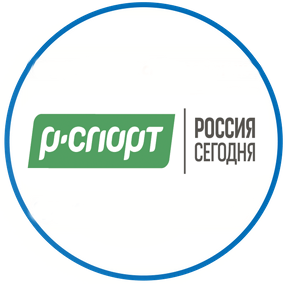 -The finance share from regional budgets is only 4 percents in RFPL and around 14 percents in FNL. This is in 2016". Rogachev also told about the possible introduction of a salary limit for young players, restrictions for clubs, especially PFL, to attract new players, which will allow to reduce budget expenses and limitation of club applications during the licensing process. On the question why the Agency PRO license, which allows intermediaries to work with the clubs, costs 10 million rubles, Rogachev said that its value was calculated according to average salaries of players in Premier League. 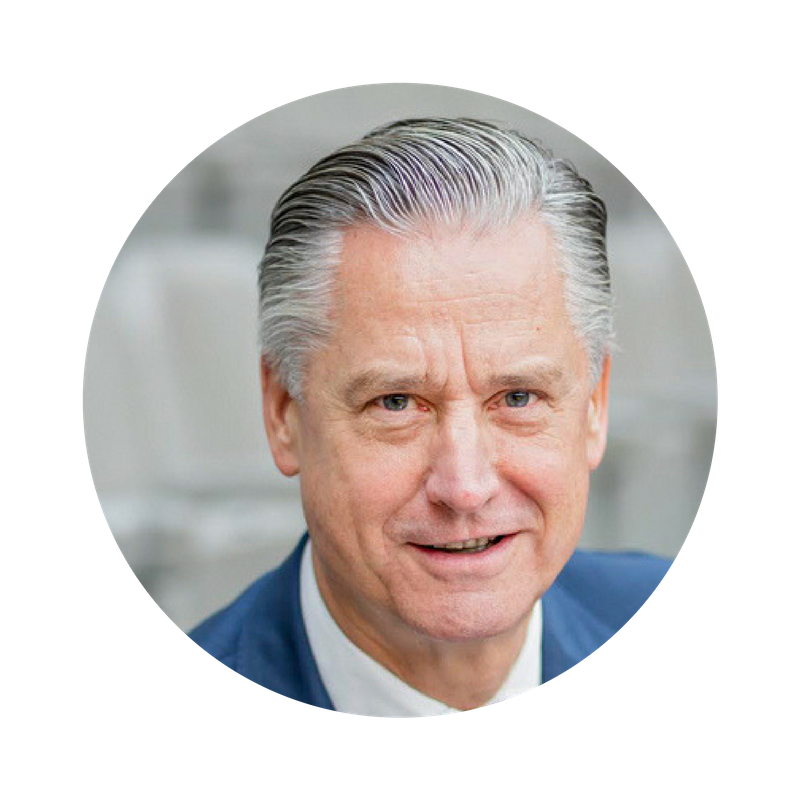 "One successful deal pays off for the full license," said Rogachev, adding that there are cheaper licenses of other categories, which enables to work in the transfer market. The President of Moscow football club "Veles" believes in a bright future of his newly created team participating in the PFL. 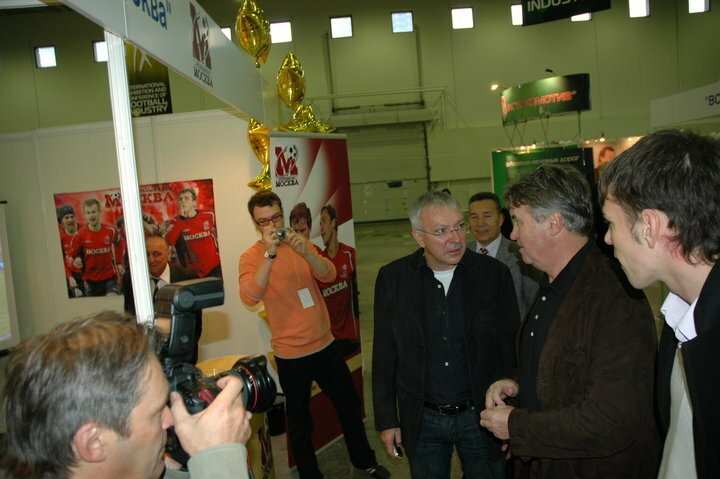 "It's very expensive to play football in Russia, said Shilenkov, speaking at the exhibition "Football Market". – Today, the average budget in a league – 500 thousand – $ 1 million. It`s impossible to reach self-sufficiency in the PFL. I`m sure that it`s the same situation in FNL. We need 3-5 years for the club development. We will try to make private money work in football. 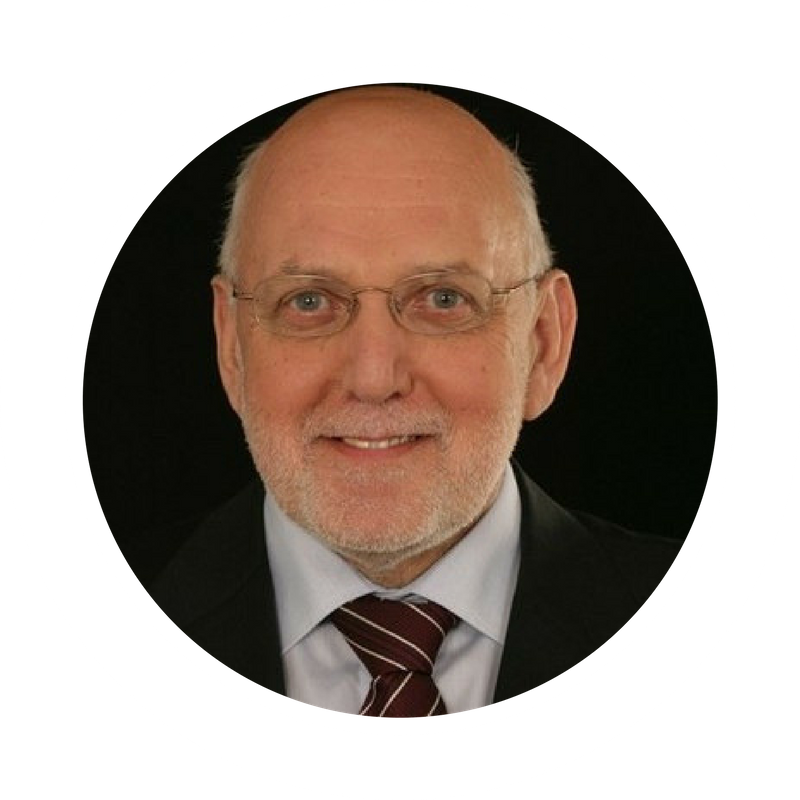 But the system has not matured for private capital to come to football and help to develop it". Japanese Yasuto Suga told about the successful experience of using simulators in training process. He works with American volleyball, baseball and American football teams. 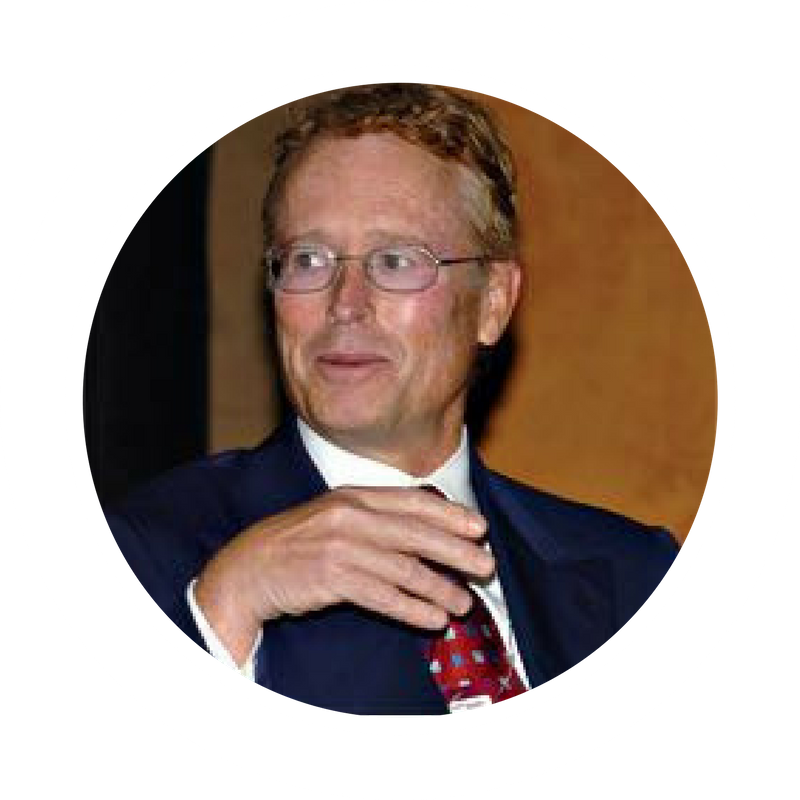 His methods and devices allow to fill different situations on the field/court in a brain of athlete. In a real situation what is filled at the level of reflexes with electronic toys and games allows athlete to react quickly and make right decisions. In the end of the third day there was a discussion on the topic of cyberfootball with the participation of Konstantin Girin or «Stavr», cyberplayer of FC "Lokomotiv".The Youtube channel of 19-year-old Stavr has over 762 thousand subscribers. He is from a railway family, and he is a supporter of "Lokomotiv" for over 7 years. Ideal figure for brand promotion. However, the question whether the stadium of Lokomotiv will be attended by more supporters whilst games is still opened. Football Market exhibition is finished. 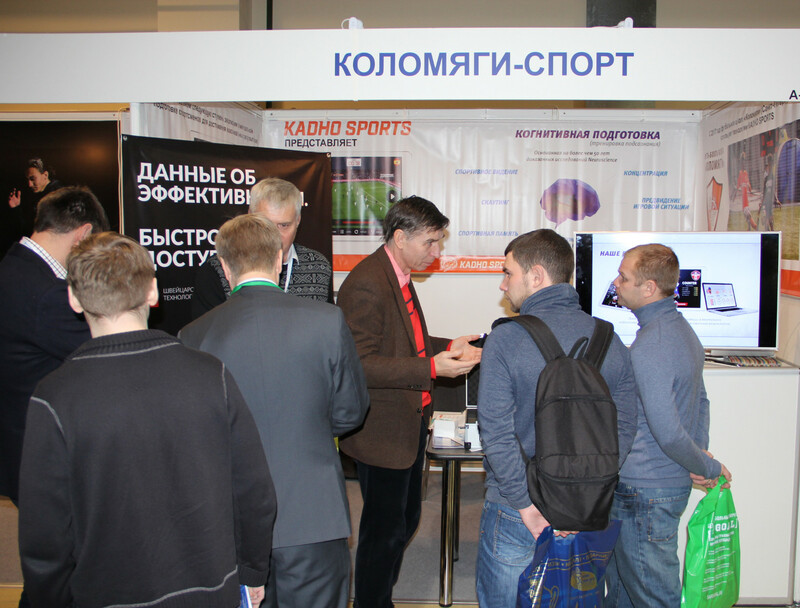 XV International specialized exhibition of football industry "Football Market" had finished on December 2-nd. 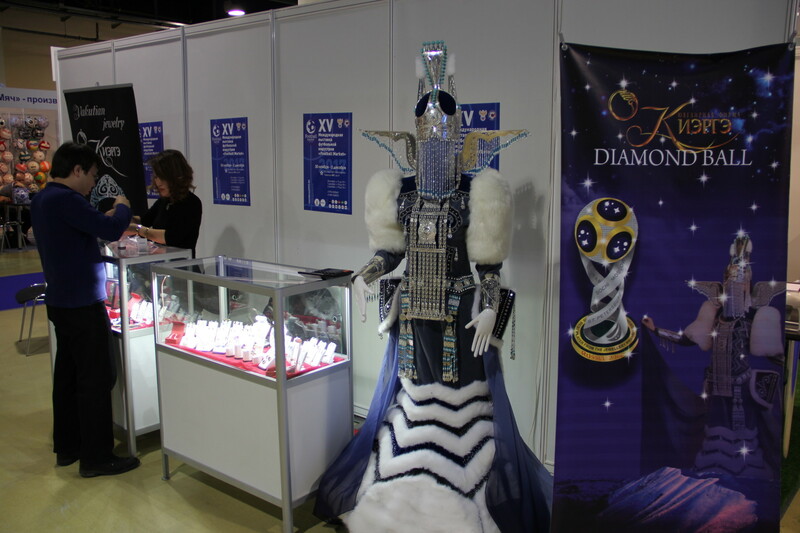 It was held from 30 November to 2 December in Moscow in "Expocentre" on Krasnaya Presnya. 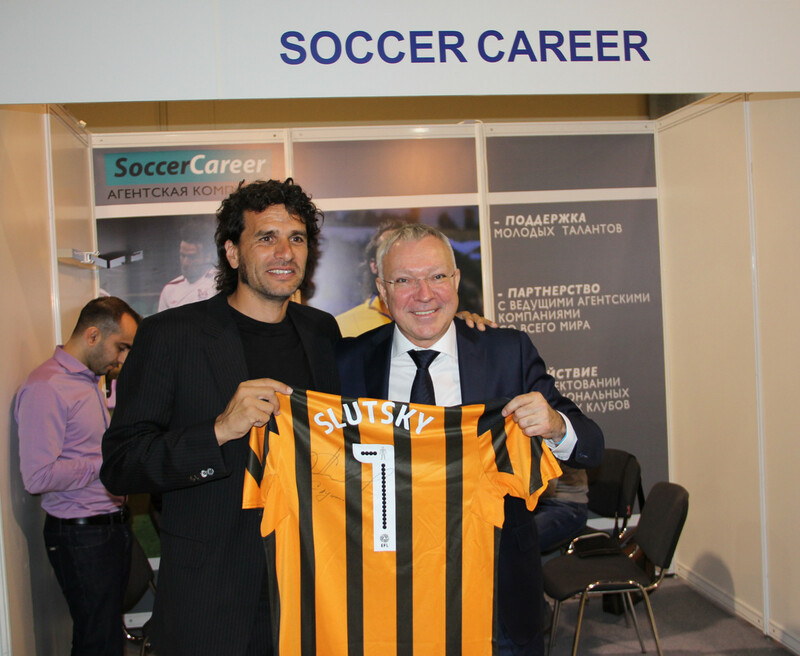 Exhibition included companies from Europe, Asia, Africa and South America as well as many participants of Russian football market. Within the conference program its participants discussed the issues of preparation for the world Cup 2018 in Russia, the problems of transfer market, club management, marketing and selection, conflict cases during legal disputes resolving and more. For the first time in the history "Football Market" has become a platform for communication of representatives of the clubs and football agents. Also, exhibition featured the exposition of works by young artists on the theme "Football in art". 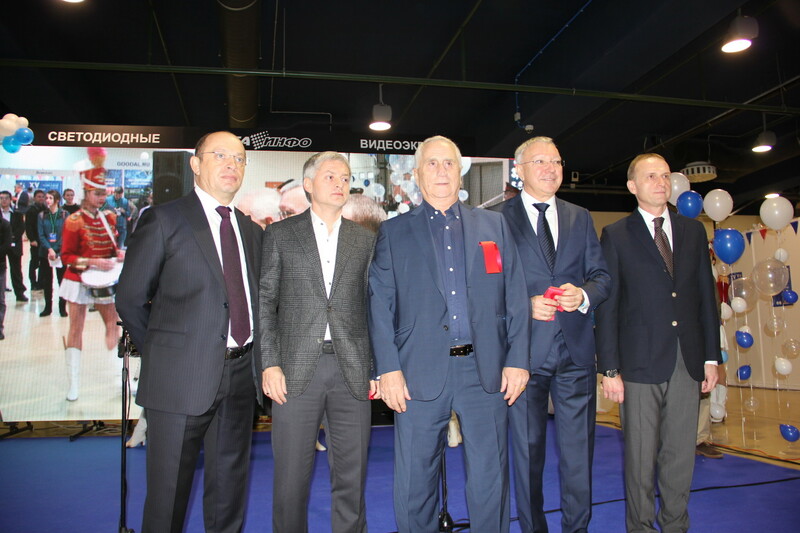 The guests of the exhibition were Sergey Pryadkin, Igor Efremov, Andrey Sokolov, Stanislav Cherchesov, Valery Gazzaev, Boris Ignatiev, Oleg Kononov, Roman Shirokov, Victor Bulatov, Igor Korneev, Hector Bracamonte, Marcelo Simonyan, Andrey Talalaev, Rokhus Shokh, Anton Evmenov, Alexander Tolstikov, Emin Antonyan and many others. 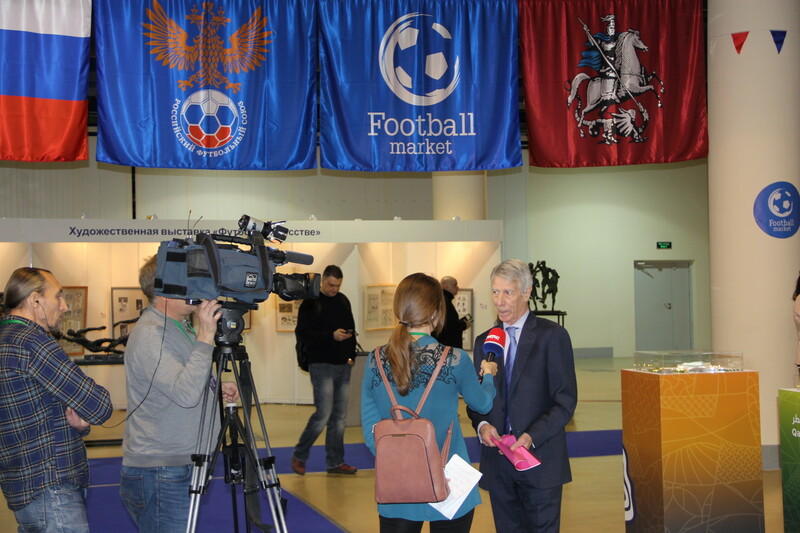 For 3 days of operation the exhibition "Football Market" was seen by hundreds of experts and guests. 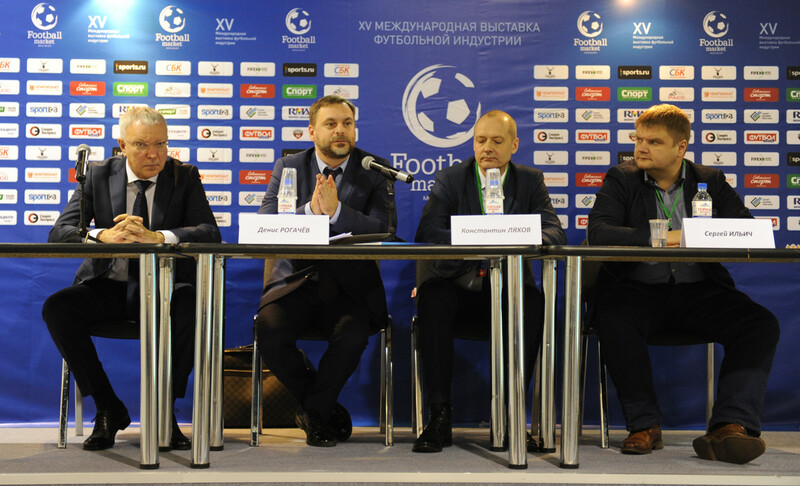 The organizing Committee of the "Football Market" announced that the sixteenth exhibition will be held in October 2018 in Moscow. Representatives of FIFA, continental and national Federations, Government of the Russian Federation, presidential Administration of the Russian Federation, Ministry of sports of the Russian Federation, RFU, RFPL, FNL, PFL. The role of the state in the development of football in the country. Is it necessary to finance professional football clubs from the state budget? 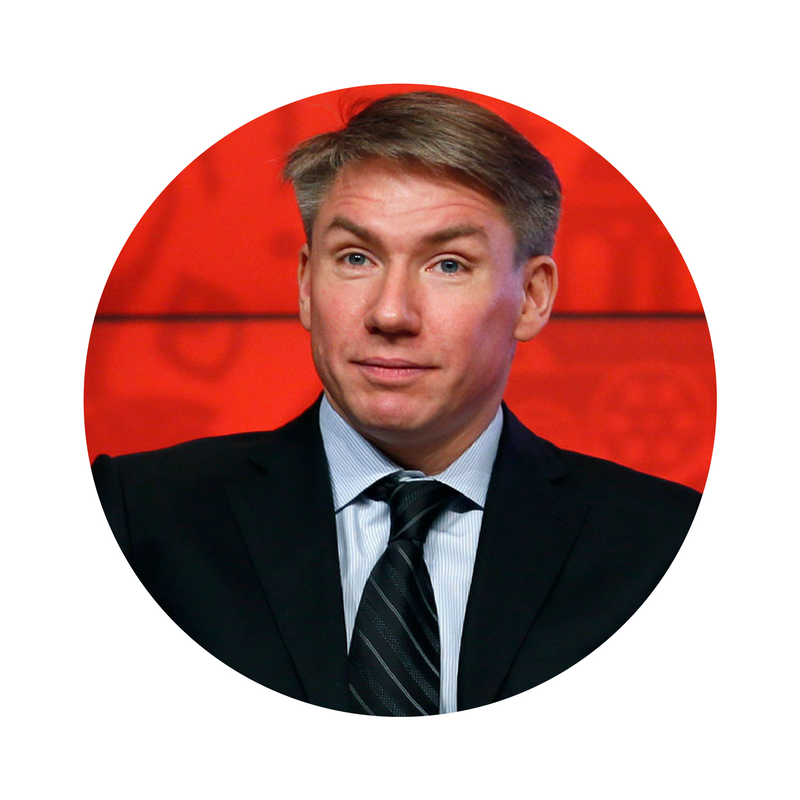 Moderator: Belous Yury – President of companies group «Football Market». 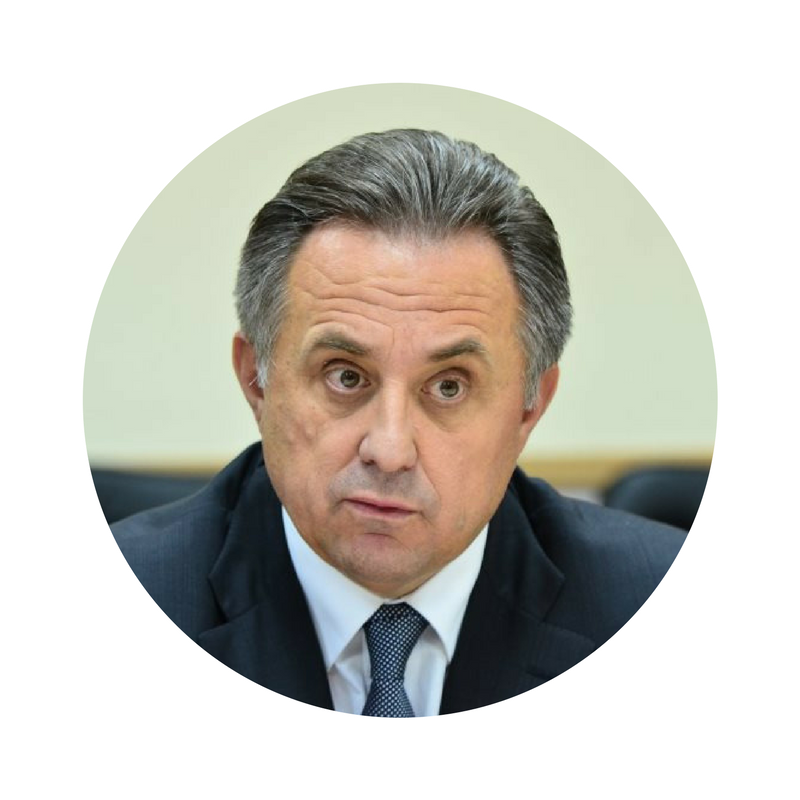 Deputy-Chairman of State Duma Committee on physical culture, sport, tourism and youth affairs. Metshin Ilsur - mayor of Kazan. Shlyakhtin Dmitry - Minister of sports of Samara region. 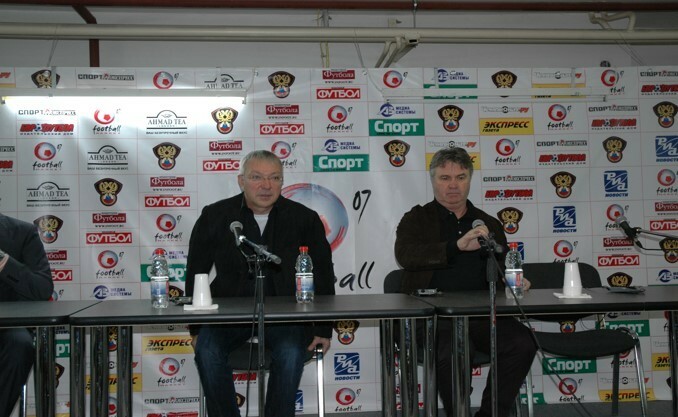 Sokolov Andrey – president of PFL. 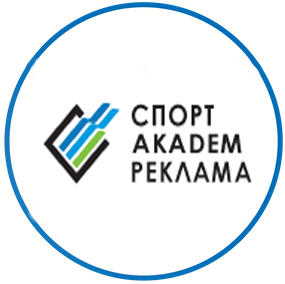 Kulakov Kirill – head of the business school RMA. Preparedness for the FIFA World Cup Russia-2018 (stadiums, transport, infrastructure, non-visa entry program). Representative of the Organizing Committee on preparation and holding of the FIFA World Cup Russia-2018. The problem of security on stadiums. 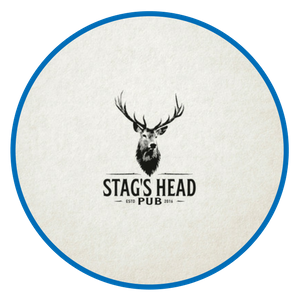 The introduction of an identification system of the fans. Moderator: Kleshchev Konstantin – chief editor of «Sport-Express» 2012-2013 and «Soviet sport» 2016 newspapers. Meytin Alexander - director for safety and cooperation with fans of the RFPL. 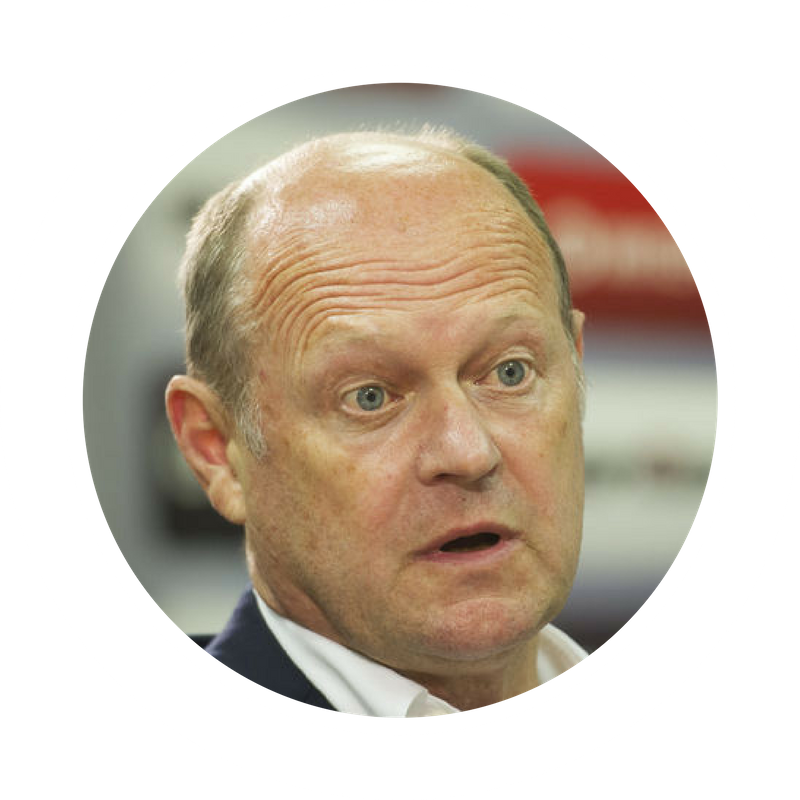 Chizhov Vasily – general director of Arena Marketing Company, the advisor of the RFPL President, RFU expert on security of the stadiums. Effective using of sports facilities and infrastructure of football clubs. 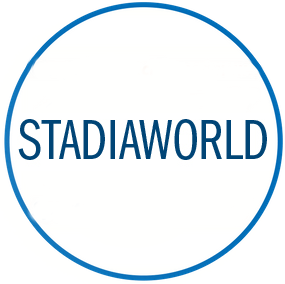 The management of the stadium. Commercial using of stadiums. The stadium of the 21st century. Innovative technologies. Sports arena as a profitable operating facility 365 days a year. More does not mean better: the latest trends in the design and construction of stadiums and arenas. - Naming: how to sell the name to the stadium and work with sponsors. - Earnings of the stadium in the non-match days. 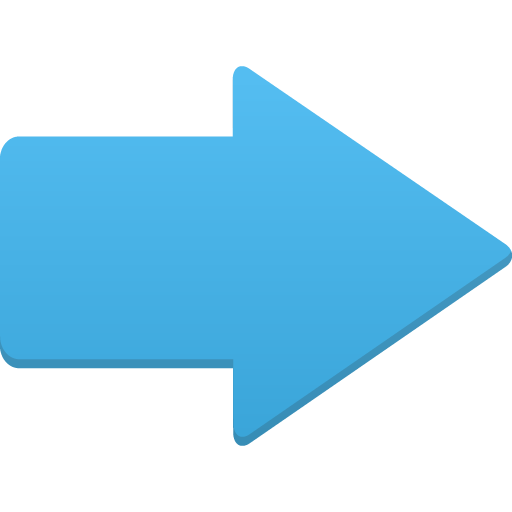 - Modern equipment and technologies. 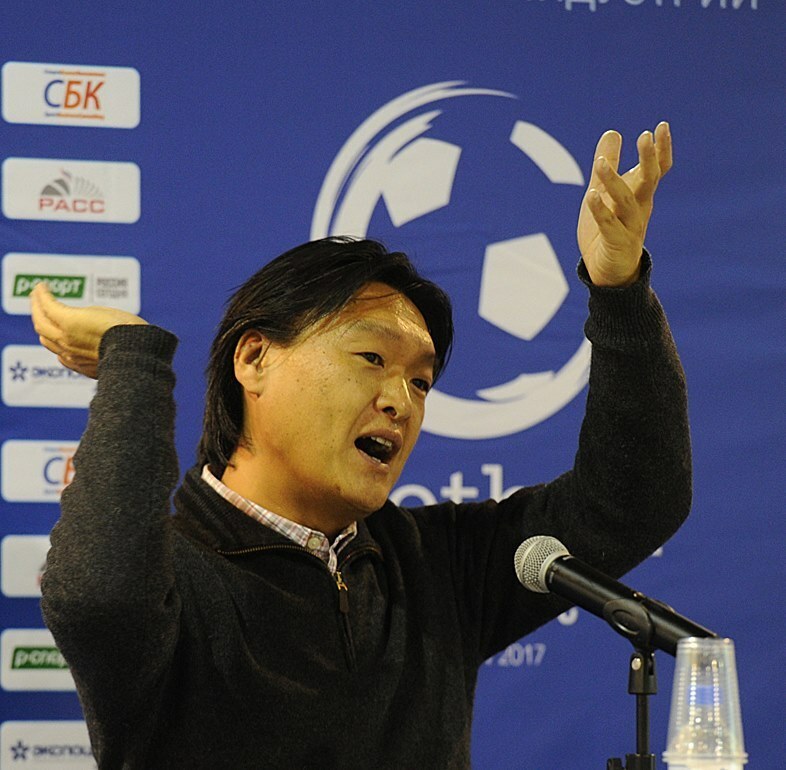 Atamanenko Alexander – commercial director of FC Spartak. 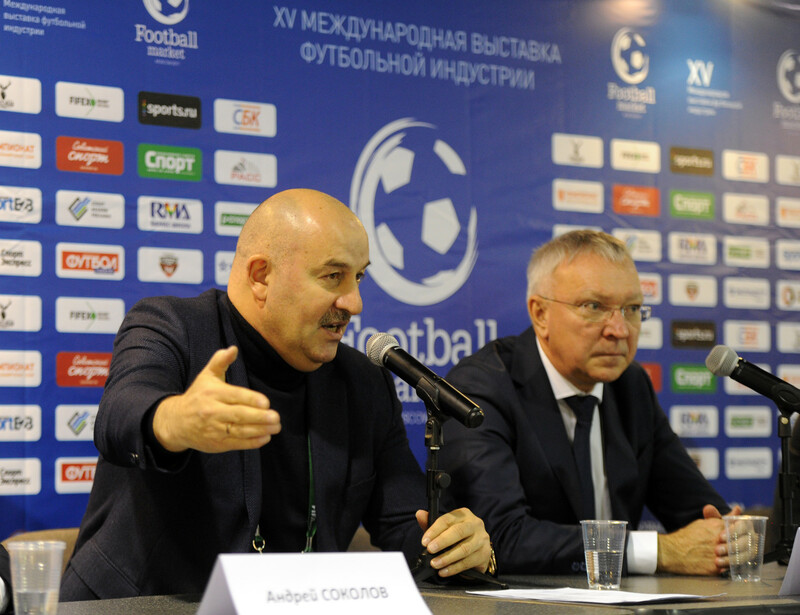 Peregudov Andrey – head of the VTB Arena Park project. Izmaylova Olga – head of external communications department of VTB Arena Park. Selling the rights for broadcasting. Organization of the matches of the national teams. 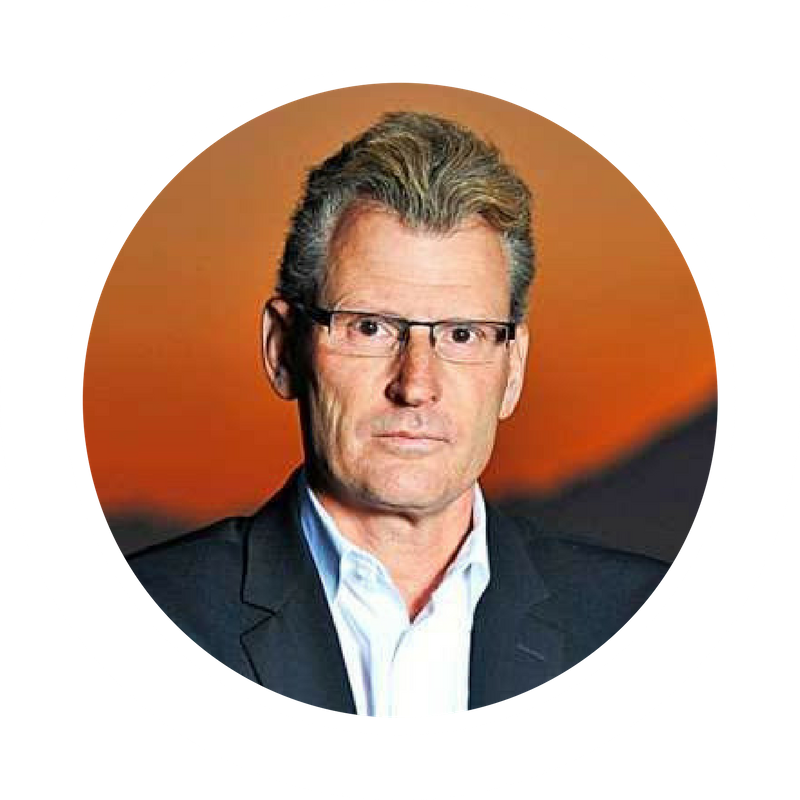 Makarenko Petr – founder of the Telesport Marketing company. Legal base of contractual relations between clubs, mediators (agents) and players. Conflict situations in the transfer deals. Disputes resolution. 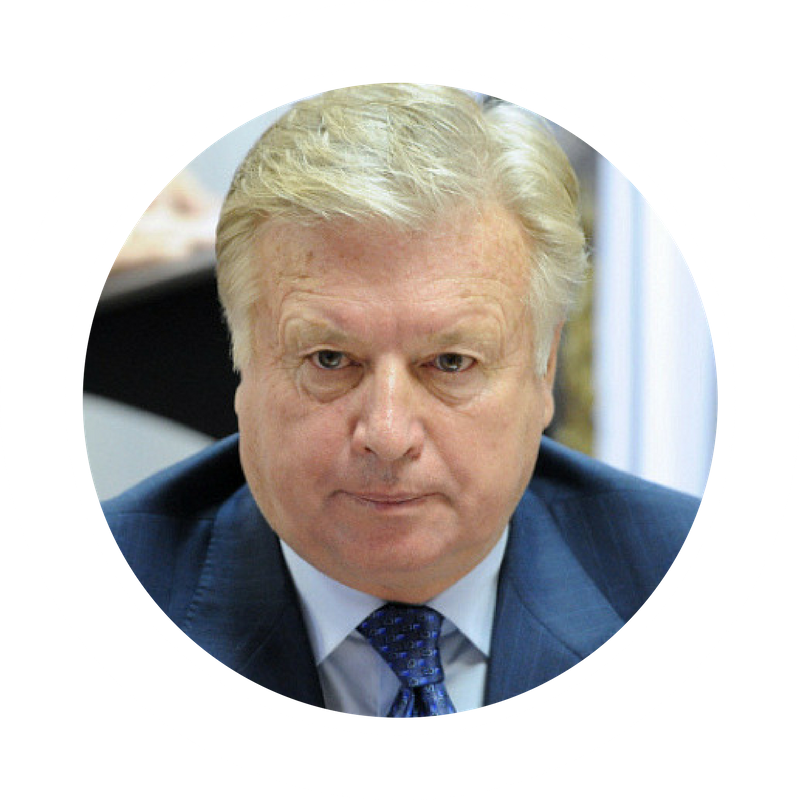 Rogachev Denis – deputy Chairman of the legal Committee of the RFU. Lyakhov Konstantin – member of the legal Committee of the RFU. 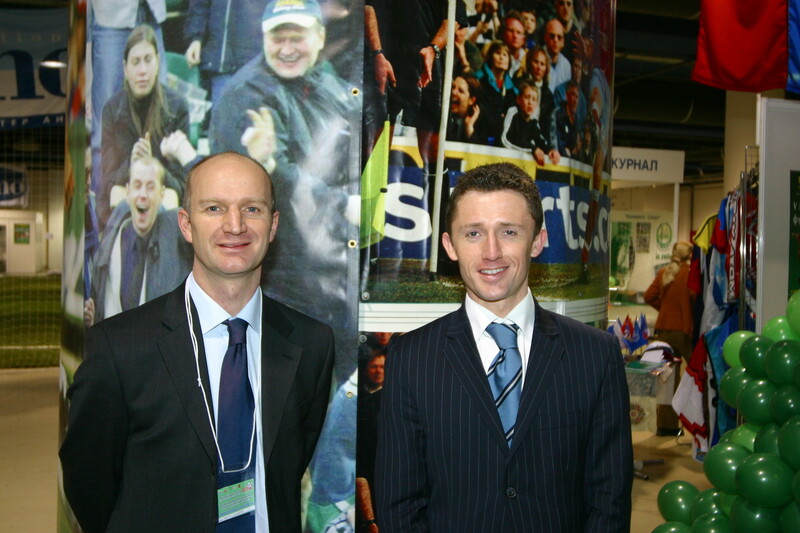 Ilyich Sergey – candidate of jurisprudence, director of International legal department, chairman of the Committee on the status and transfer of players of the "Belarusian football Federation" association, member of the UEFA Committee on the status and transfer of players, match agents, UEFA delegate, referee of SAS (Lausanne, Switzerland). Selection work as a basis for the successful operation of the football club. 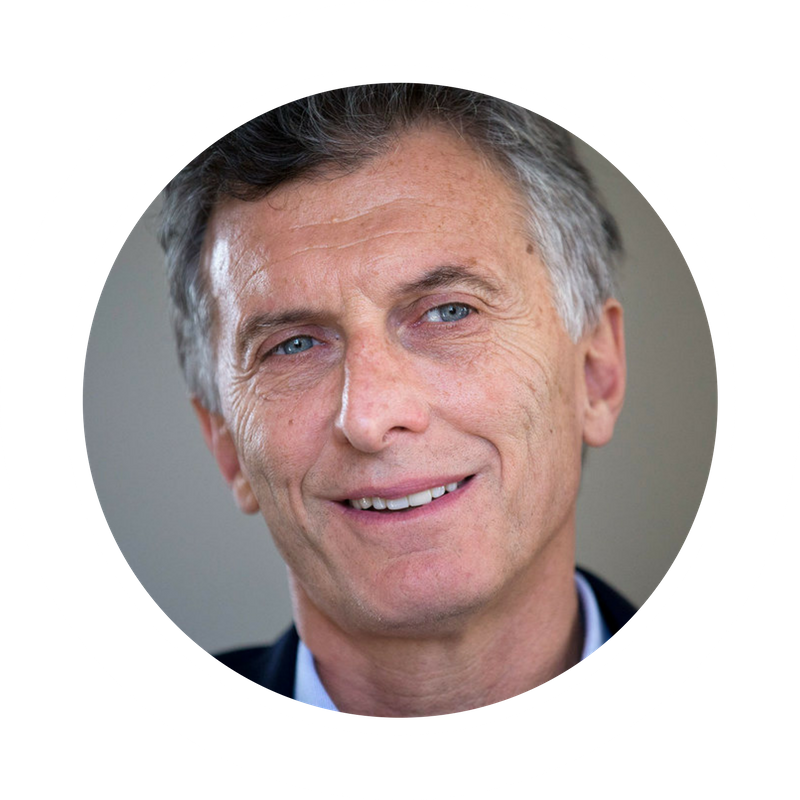 Simonian Marcelo – president of Argentinian consulting agency «Dodici». 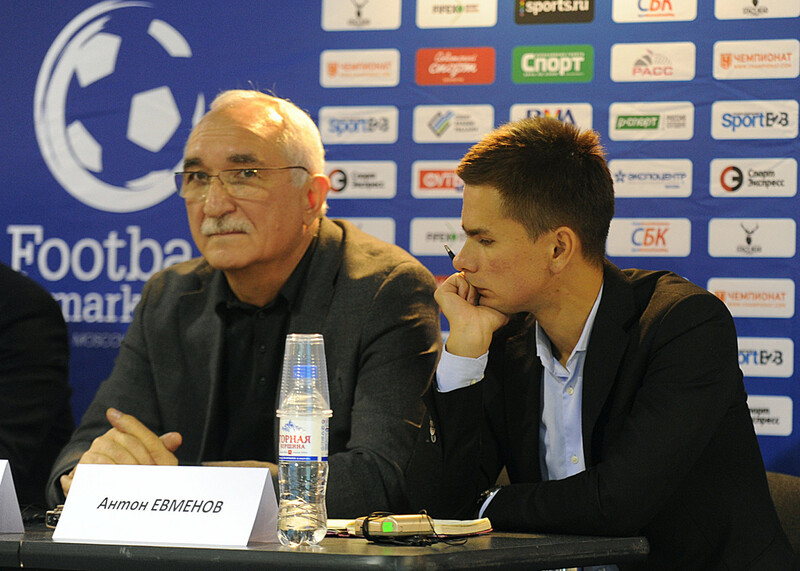 Evmenov Anton – general director of FC Pafos (Cyprus), sports director of PFC CSKA (2009-2014), head of selection and analysis department of FC Zenit (2016-2017). 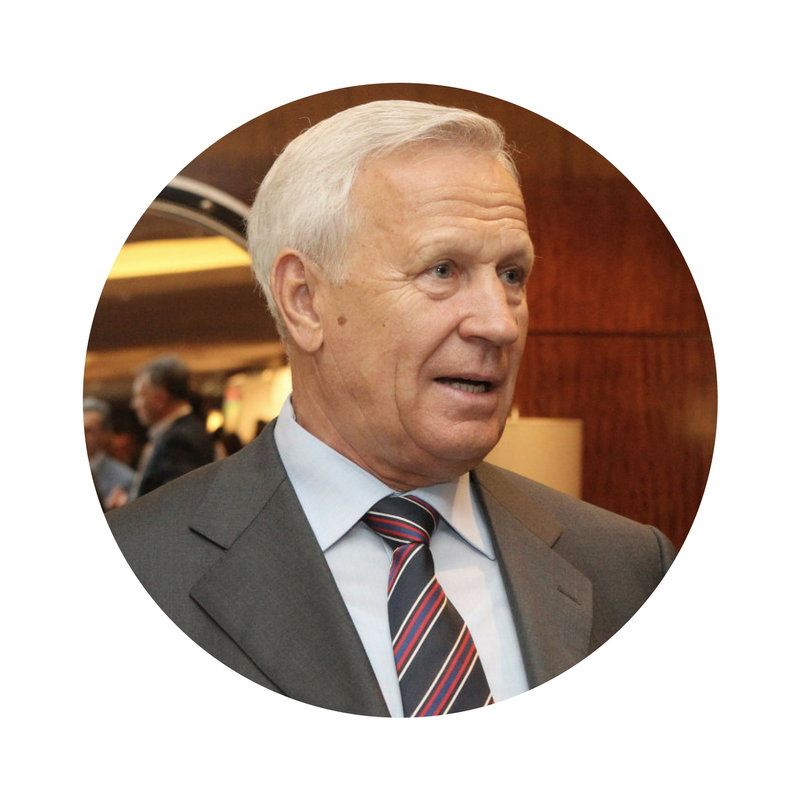 Shokh Rokhus - President of football Federation of Volgograd region, member of the Executive Committee of the RFU, President of the IPO "Chernozemye", sports director of FC Rotor (1990-2004, 2010-2015), technical director of PFC CSKA (2005), general director of FC Rostov (2005-2007), sports director of FC Ural (2011, 2015-2017). 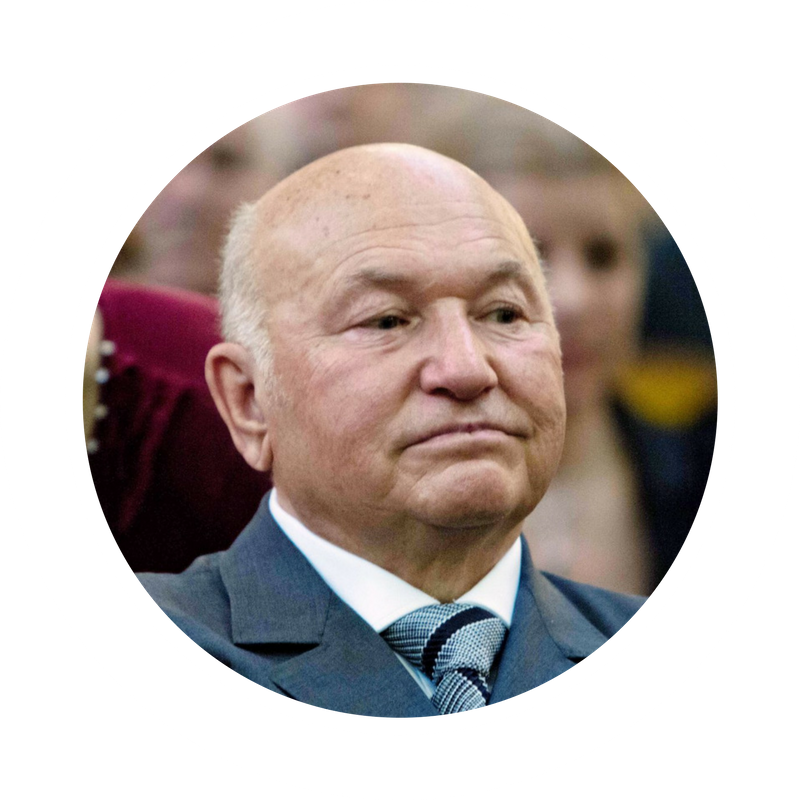 Belous Yury - President of companies group «Football Market», President of FC Moscow (2002-2008), the vice-President of FC Lokomotiv (2010-2011), CEO of FC Rostov (2011-2012). Motivation of the shareholders in case of establishing a private low-budget professional football club. Filling of the budget. Transfer possibilities. Expectations of the owners. 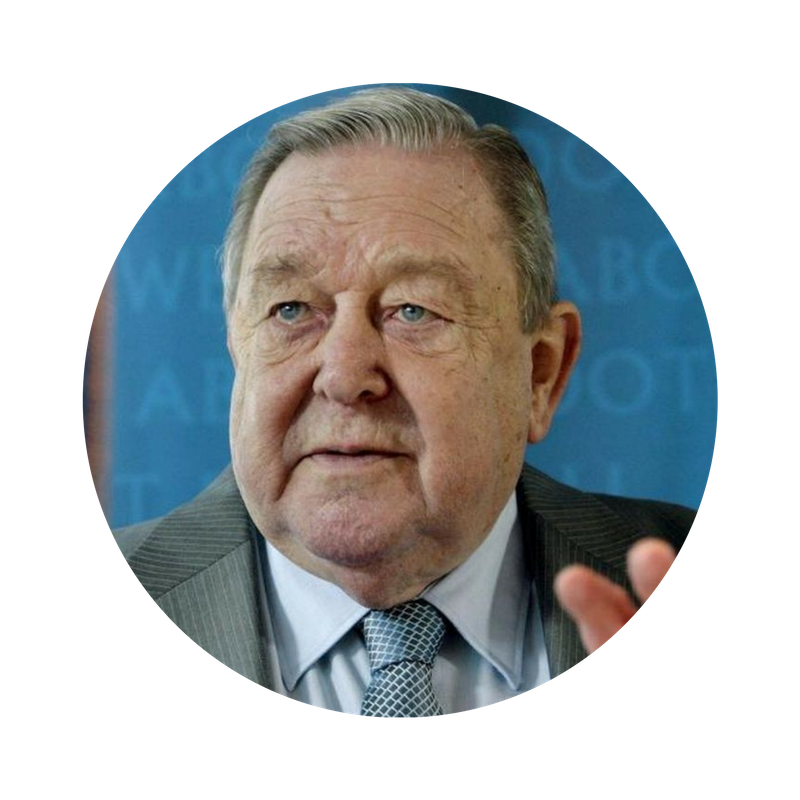 Tolstikov Alexander – President of the Serie C of Portugal championship football club "União Desportiva de Leiria". 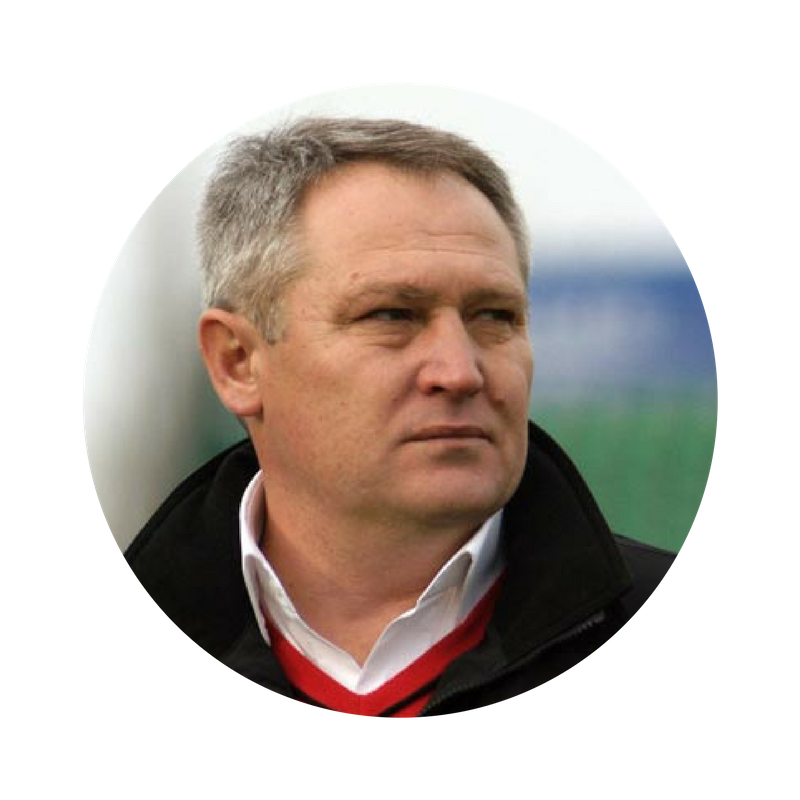 Shilenkov Evgeny – President of FC Veles (3rd division of Russian Football Championship).  Creation and promotion of a football club brand in the football industry market. 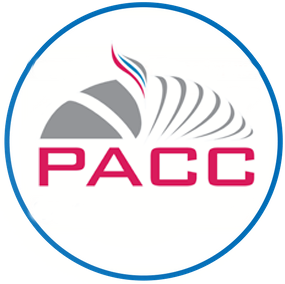 Creation of development concept and its implementation in the construction of a modern football club. 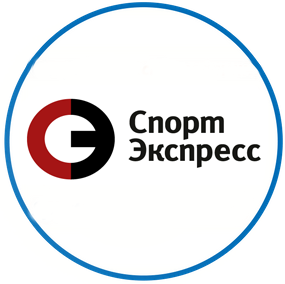 Promotion of the club brand abroad (branches). 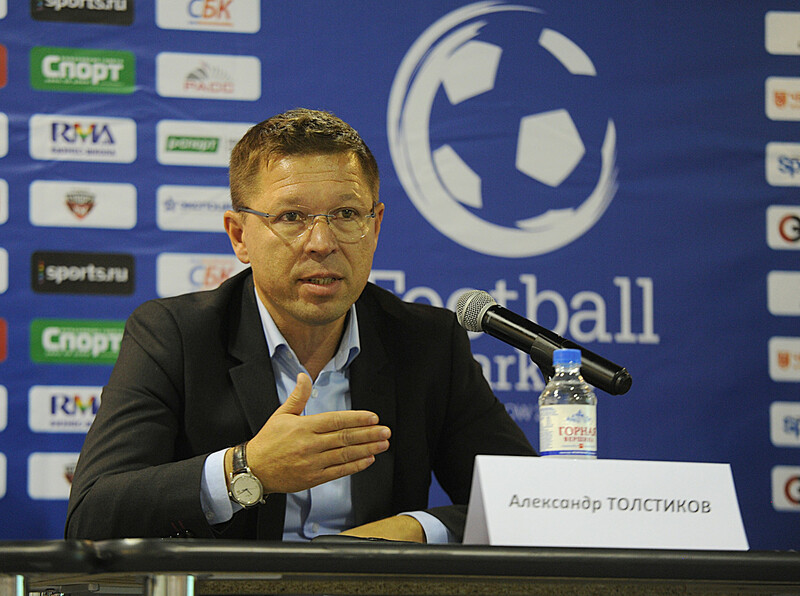 Kirichek Alexey – executive director of FC Lokomotiv. Moderator: Zolin Alexey – Sport FM analyst. Kingoltc Kristina – project manager of the Football for children Foundation, representative of "The Future Depends on You" program («MegaFon»). 18:00 PM – live broadcasting of the ceremony of the final draw of the 2018 World Cup on the big screen (for accredited persons). Student`s football: from NSFL to the World Student League. 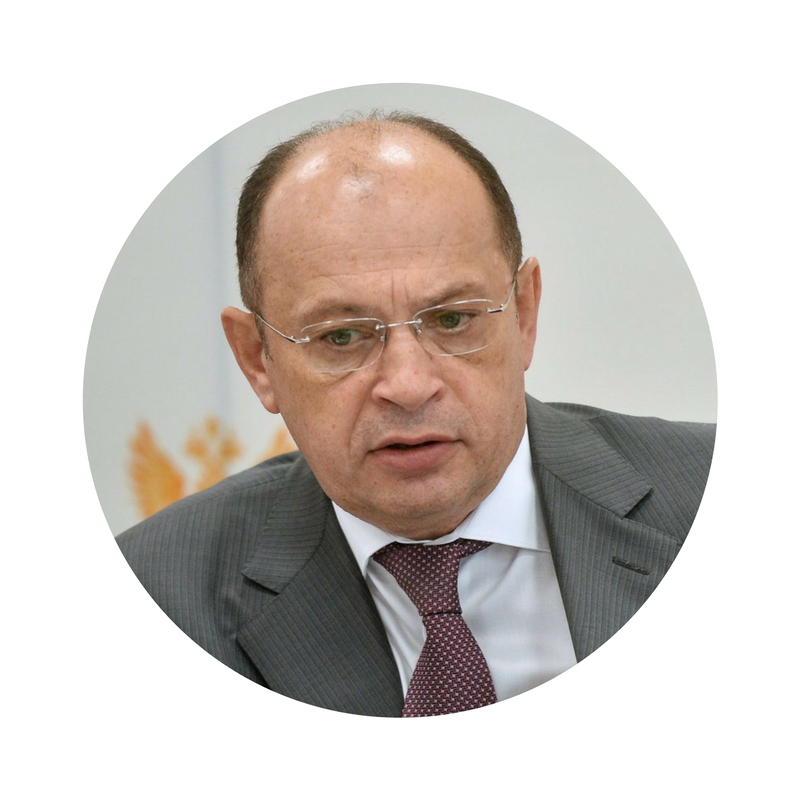 Alkhanov Alu – Deputy Minister of justice of the Russian Federation. Mental preparation of athletes to achieve max results. Suga Yasuto – President of the Kadho Sports company. Charity auction of artworks by students of the Moscow academic art Lyceum at the Russian Academy of arts – the winners of the Football in Art competition. Possibility of monetization of cyberfootball and promotion of the brand of the professional football club in cyberspace. Moderator: Spivak Daria – marketing director of FC Lokomotiv. Antonian Emin – general secretary of Federation of computer sports of Russia. 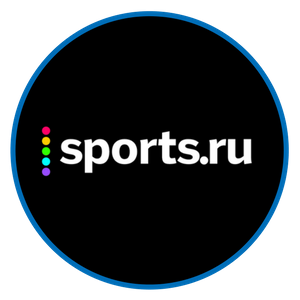 Utkin Igor – general director of cybersports marketing agency «Power Ducks». 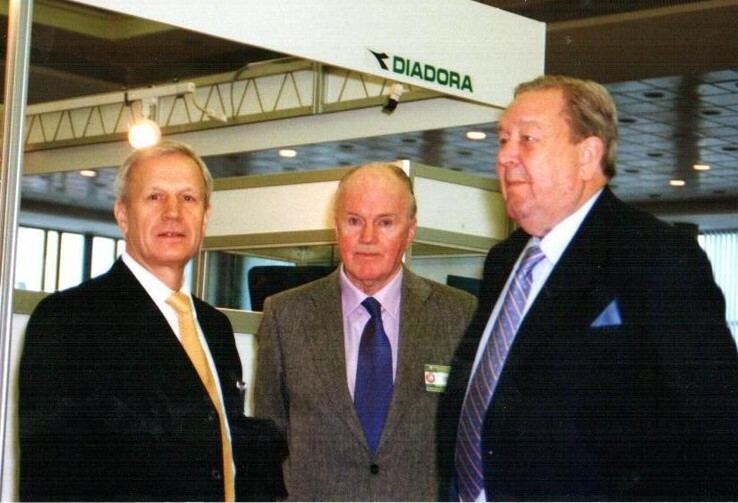 Kondratov Dmitry – member of the Committee on varieties of football of RFU. 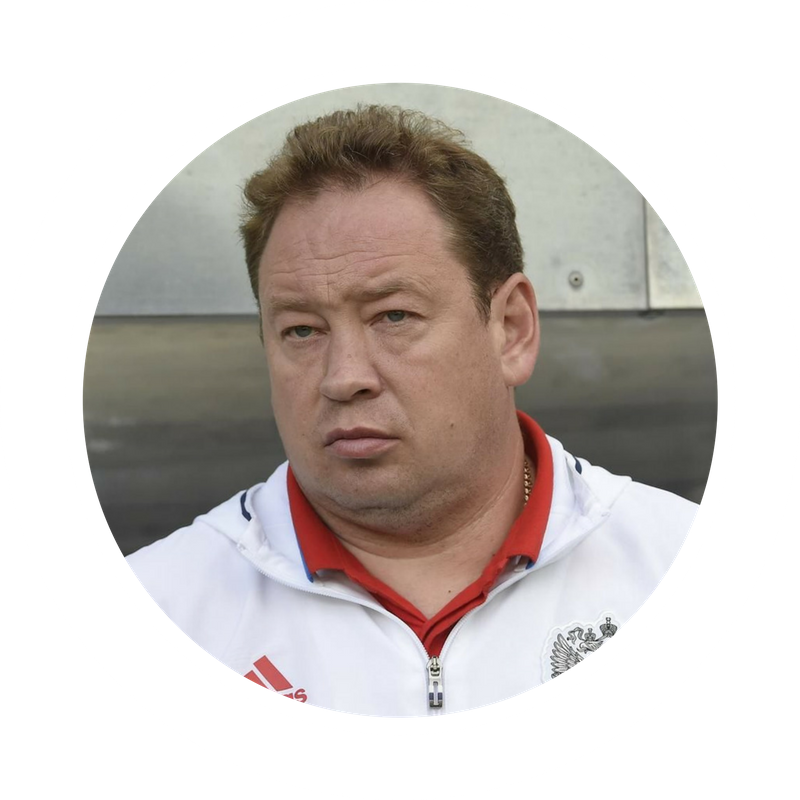 Kozlova Tatiana – head of the production unit of marketing department of FC Lokomotiv. 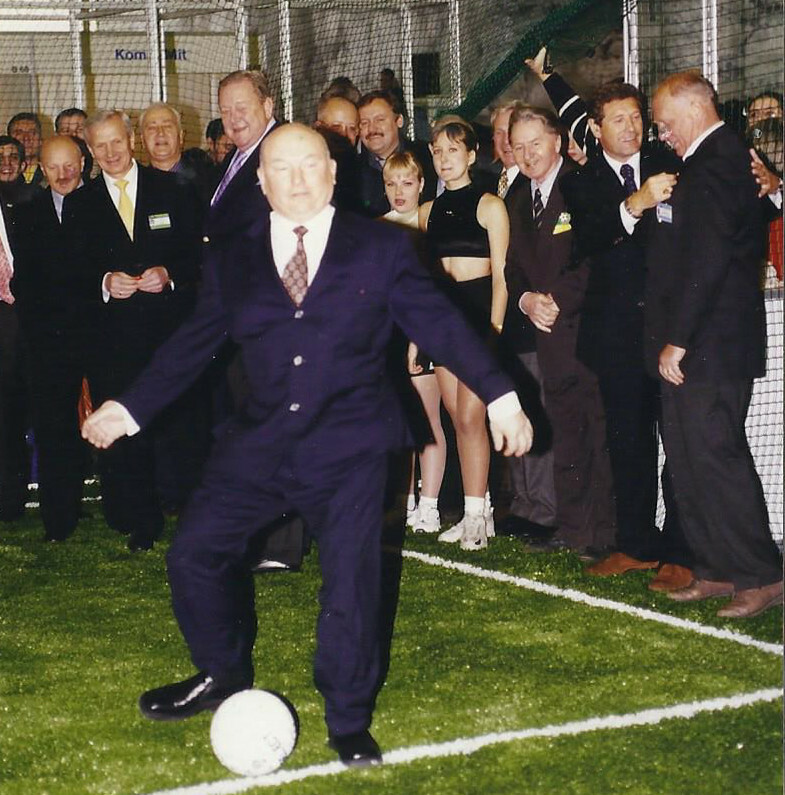 Stand of Charity Foundation "Football for children"
Companies Group "Football Market" has more than 20 years of experience in the implementation of football specialized exhibitions. 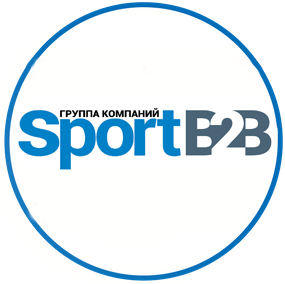 This unique event in Eastern Europe for companies and professionals aimed at the development of football and the football industry in Russia and Eastern Europe. 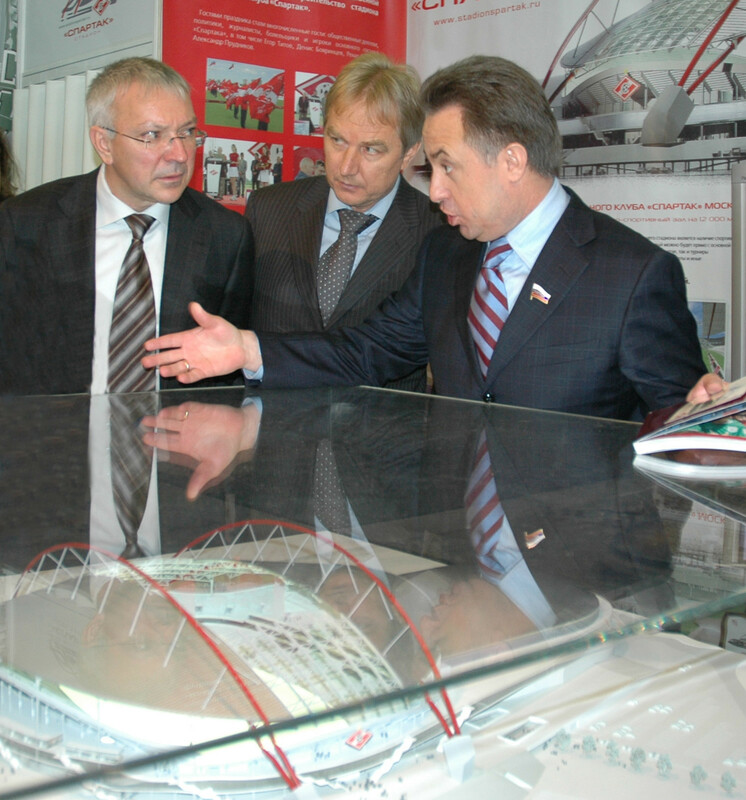 Exhibitions are an official event of the Russian Football Union and in different years it was supported by UEFA, FIFA, RFPL, FNL and PFL.